The kitchen can be a great place to build lasting memories. You can made healthy snacks, wholesome desserts, and spend some quality time together with your grandchildren. It can be an excellent opportunity to get eyes off of screens, measuring ingredients, looking at old cook books, or learning cutting skills. But, you can also use the Internet to find some recipes you and your grandkids will love making, sharing, and eating. Here are just a few Simple & Quick recipes to make with your grandkids that will help create those bonding memories. Celery sticks filled with peanut butter (or the nut butter of your choice) or cream cheese, topped with raisins, craisins, berries, or even goldfish crackers. If you use goldfish crackers, consider changing the “Ants On A Log” name to something fishier… like Nemo snacks. Think of your favorite pie recipe when you were their age and teach your grandkids how to make it; chances are they’ll love it too! You might have a favorite pie crust recipe that you are hoping to pass down, but if not, the grocery store sells pie crust in the freezer aisle or near the cookie dough. Either way, the pie will be great! It can be a lot of fun to pick strawberries, blueberries, or even wild raspberries if you have the chance. And one of the best ways to make those berries last the year is to make jam. If you’ve never made jam before, freezer jam is a stress-free way to go. You don’t have to worry about boiling, pressurizing, pasteurizing, etc that you would with traditional canning. I’ve never met a cookie I didn’t enjoy making and eating. Weather you buy frozen dough balls and plop them on a sheet pan, or you mix up an old family recipe from scratch, you are sure to have a good time. Tollhouse puts their chocolate chip cookie recipe on every bag of chocolate chips. Mix up the always popular Shirley Temple (Sprite with Grenadine) and watch an old Shirley Temple movie. Blend up a thin mint milk shake, inspired by the classic Grasshopper drink, and watch Pinocchio. 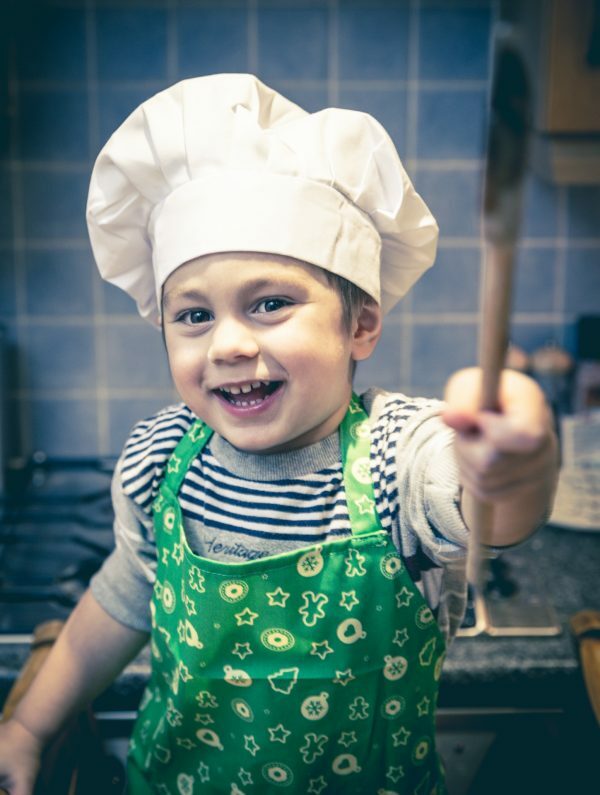 Whether you have family recipes you want to pass down to future generations, or you want to build some new traditions, these Simple & Quick recipes to make with your grandkids will help you make lasting memories with the young ones you love most.